Finally we discovered what is Baba ji Ka ThhullU (ठुल्लु ). And as expected, only a God-Man or his highness Rajnikanth could have explained us the meaning and enlightened us with this divine knowledge. Thanks to Baba Ramdev errrr.....i mean baba Rampal (Actually both are from haryana, so i changed the names by MISTAKE obviously). Anyways, Baba Rampal and super militia with highly intoxicating WMDs like petrol bombs were able to stop the administration from controlling the situation for last 1 week. But the big question still remained, what is baba ki ka thhullu. 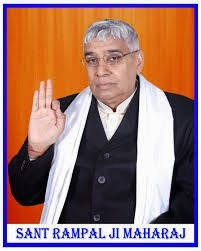 Today police and administration, when caught Baba Rampal, they actually understood the meaning of Baba ji Ka ThhullU (ठुल्लु ).